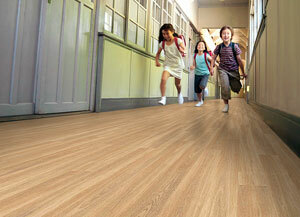 Ideally suited for use in commercial buildings where sound insulation and slip resistance are important requirements. Examples may include classrooms, corridors, circulation areas in multi-storey dwellings. Typical use areas are those which are normally dry but have risks of water spillage. 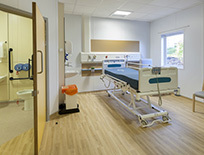 Example areas are found within schools, universities, student accommodation, hospitals, aged care, social housing and public buildings with heavy footfall.